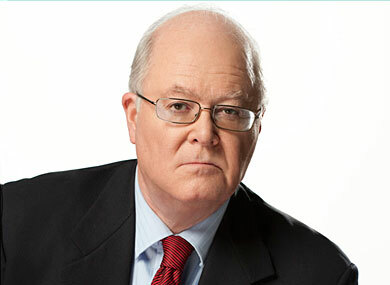 Bill Donohue, self-appointed head of his own watchdog organization The Catholic League, took a full page ad in yesterday's New York Times to claim that it's actually the Catholic Church that is the real victim of the abuse crisis. The Church is being unfairly attacked and demonized by the media, the survivors of abuse groups, victims rights groups, and of course the gays, Donohue says. In fact, Donohue claims, the Church hasn't had a pedophilia problem at all - they have a homosexual one. Really? How does Donohue reconcile that claim to the fact that half of the victims of sexual abuse in the Church are female, according to the Survivors Network of Those Abused by Priests? Doesn't Donohue realize that gaining access to boys and winning their parents trust was an easier proposition when the child was male? Does that mean that it was a matter of orientation or opportunity? By refusing to examine these difficult questions Donohue reminds us that the top levels of the hierarchy are looking for scapegoats not solutions. And lets not forget that not only did a truly staggering number of Catholic priests sexually abused children (male and female), the Church then attempted to cover it up and avoid all responsibility (a crime almost as bad in many people's view). Attempting to whitewash a clear scandal in the Catholic Church in this manner is self-defeating, wrong headed and indefinsible at this point. Rather than stand up for the abused, Donohue has decided his real job is to prevent the Church from suffering any further embarrassment. But he's too late. When the Church decided, time and time again, to cover up what happened they lost the moral authority and the right to accuse anyone of anything, frankly.